"Paraglide with Sport HD Video." 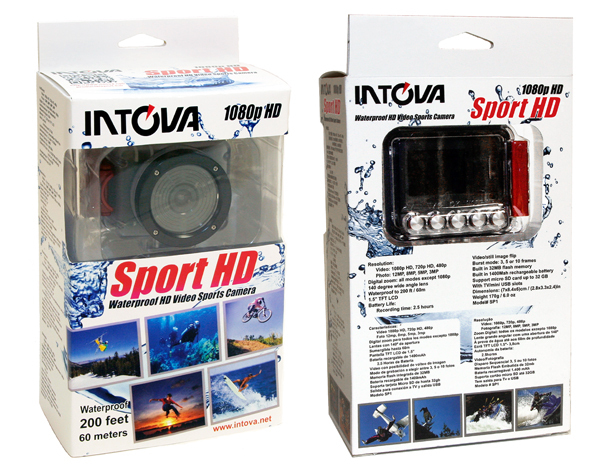 "Race Car fun with Intova Sport HD Video." 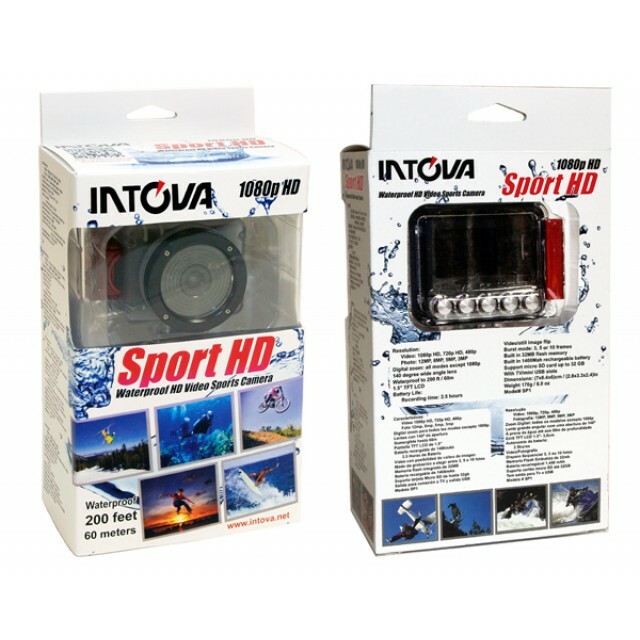 Official page for INTOVA Sport HD Camera. 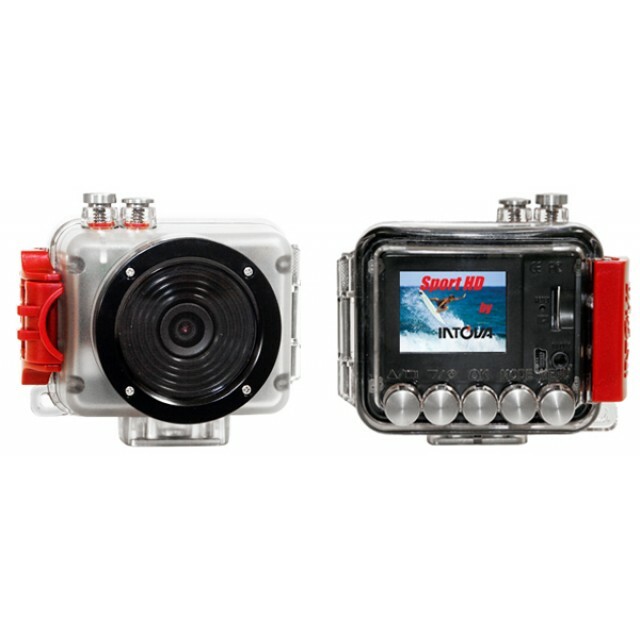 Small and compact, SP1 offers full 1080p High Definition Video with a 140 degree wide angle lens. This design allows the maximum view angle without the significant distortion found in wider lens angles. SP1 supports Micro SD card up to 32 GB (Class 6 or 10 recommended). 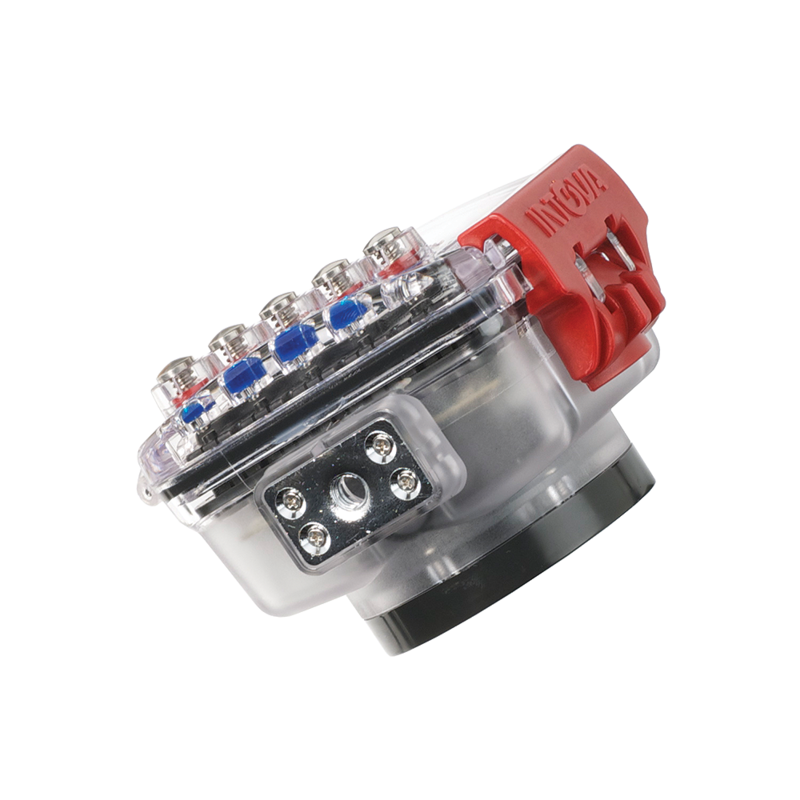 Intova’s unique and patented Unibody design builds the electronics directly into the compact housing. The housing floats and is constructed of rugged polycarbonate injected with UV. The lens port receives a proprietary UV treatment to increase scratch resistance and reduce reflection. Its flat design allows seamless operation above or below water. 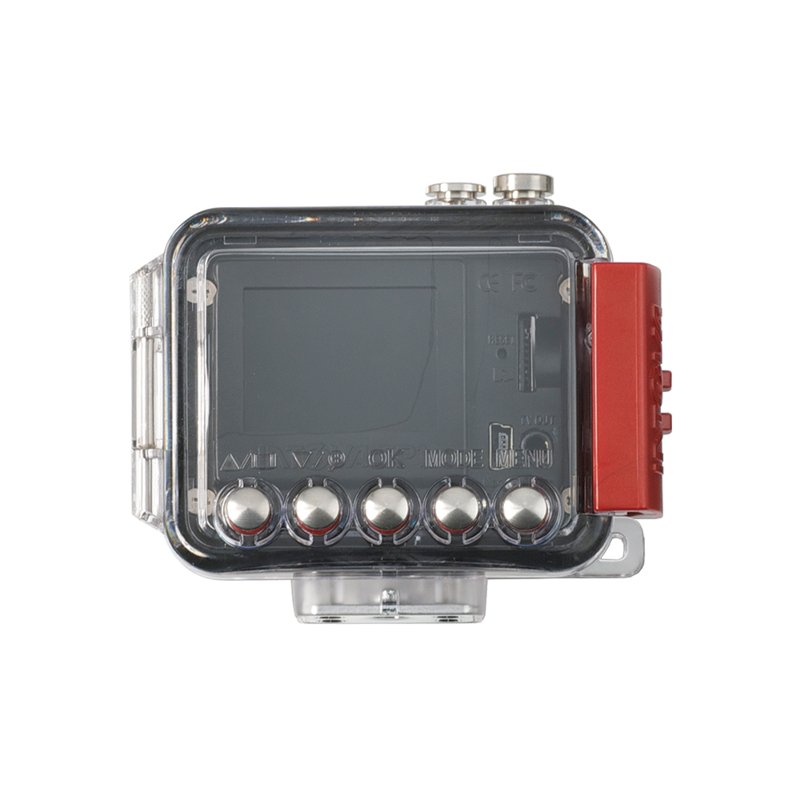 Waterproof to 200 feet, the housing includes buttons for full camera control in any environment. (Important: to maintain waterproof seal, be sure to clean and remove debris from O-rings and lightly apply silicone grease before use.SP1’s high quality LCD screen acts as both a viewfinder and playback monitor. To save battery life, the LCD can be turned off when not in active use. SP1 utilizes a standard ¼” tripod thread to fit a wide range of Intova mount accessories. 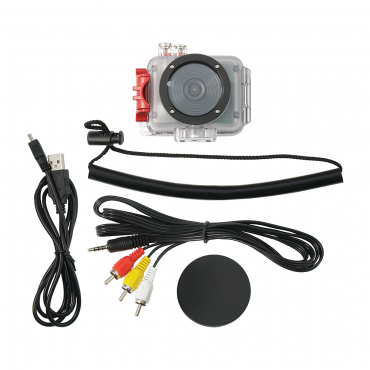 Boxed set includes Sport HD camera (model# SP1), USB cable, TV cable, 8 inch lanyard, and user manual on mini CD. All inclusive unit means no more buying back packs to be able to have an LCD to view your videos. Waterproof to 200 feet means water hazards are a thing of the past (at least for the camera!). The use of a Micro SD card enables you to record video and then swap the card to your smart phone for instant uploading to the web. Anything you can mount a camera to. Video Resolution: 1080p HD (30fps), 720p HD (30fps), WVGA1 (60fps), WVGA (30fps), VGA (30fps). Video File Type: MOV (Quick Time Movie). Photo Resolution: 12MP, 8MP, 5MP, 3MP. Digital Zoom: All modes except 1080p. Lens: 140 degree wide angle, aperture f2.4. Depth Rating: Waterproof to 200 ft / 60 m.
Power: Built in 1400mAh Li-ion rechargeable battery. Battery Life: Recording time 2.5 hrs @ 1080p with LCD off. Video/Still image flip: Flips image over when camera is held upside down. Burst Mode: 3,5 or 10 photos. Effects: Art, Sepia, Negative, Monochrome, Vivid. Memory: Supports micro SD Card up to 32 GB, Class 6 or 10 recommended. Ports: TV Mini out, Mini USB. Housing: Polycarbonate with UV injection, Patented Unibody design. Dimensions: 2.8 x 3.3 x 2.4 inches (7 x 8.4 x 6 cm). Weight: 6.0 oz / 170 g.
Note: To maintain waterproof seal, be sure to clean and remove debris from O-rings and lightly apply silicone grease before use.